Also available: Rigged w/Tuna Bits! Order now for shipment by May 1st! Smart Bars are Tournament Cable's version of the popular side-tracker, by-products of the innovative Splash/Bar that we developed over 20 years ago. Our Smart Bars offer features, benefits, and high-standard rigging not seen in any other tracker on the market! 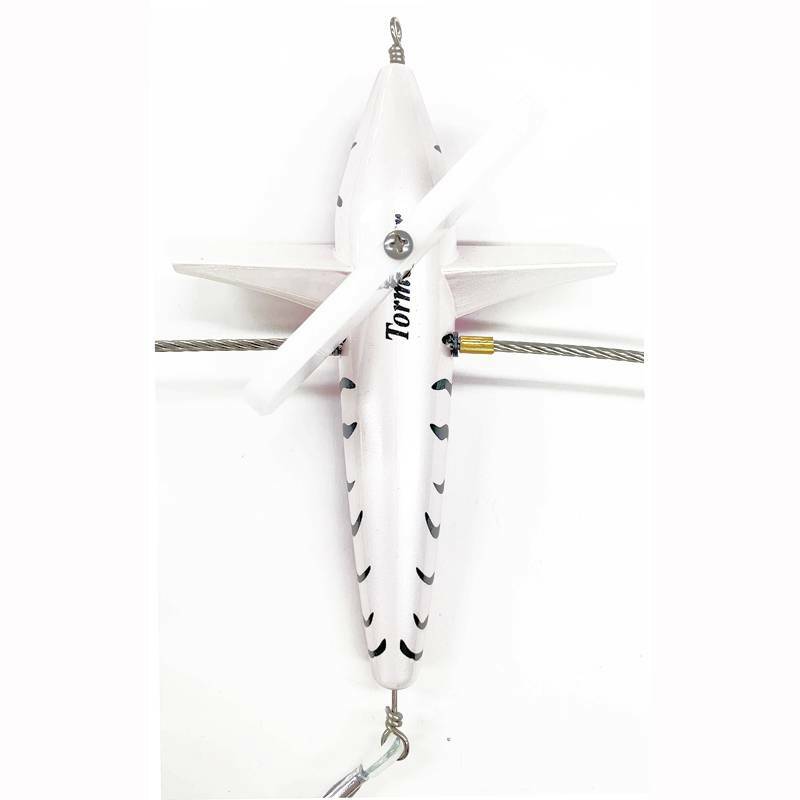 Under the belly of the bird there is a sturdy Delran blade that is easily adjustable for port, starboard or straight running. Designed to perform, the blade stays securely in place. Our Smart Bars are each built with a 7" premium bird and include a professionally rigged 12"/8oz Tuna Snack lure for the stinger. 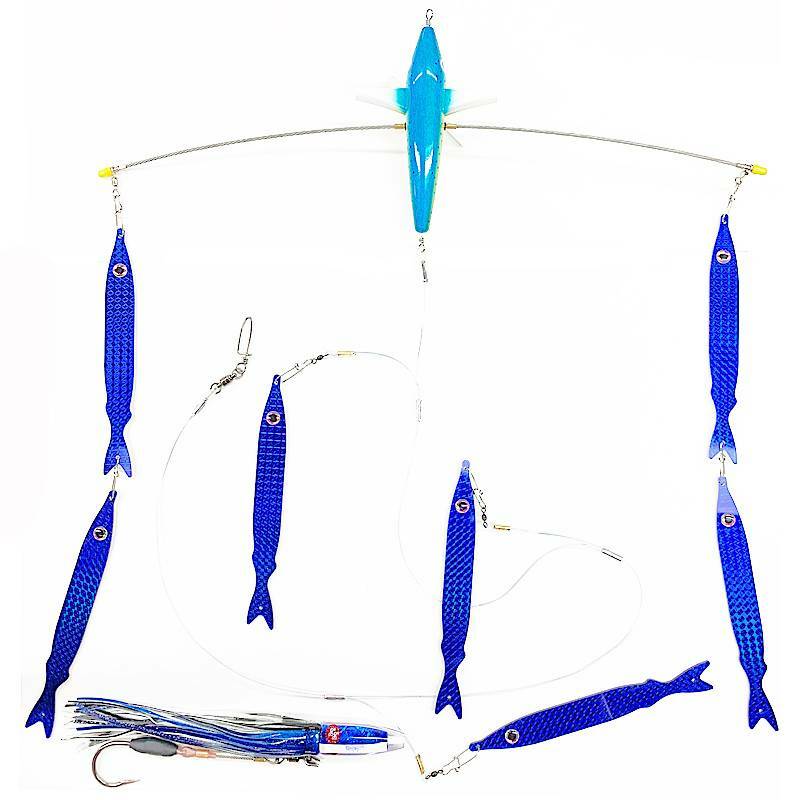 Smart Bars w/Bits are rigged with 9" tuna bit teasers; Smart Bars w/Stick Baits are rigged with our very own 9" Ballyhoo 3-D Stick Baits, which can be switched out in a matter of minutes. 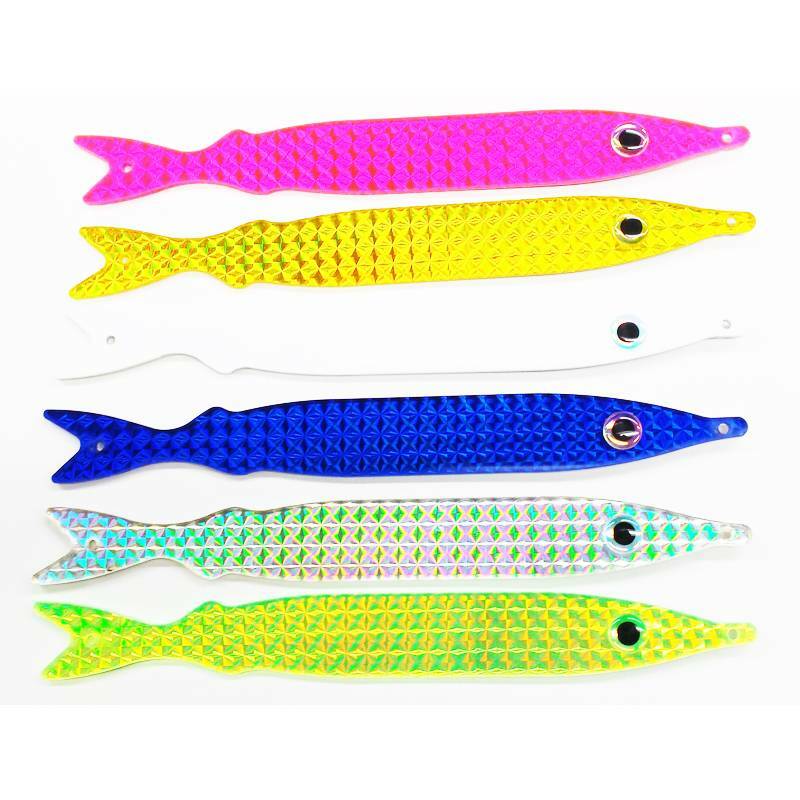 The Tuna Bits and the Tuna Snacks are all American-made, quality lures produced out of North Carolina. The 24" cable bar used on these bars is unlike any other. Made with a proprietary stainless cable material that flexes better than stiff titanium or stainless arms, creating more action than any other bar. These arms also bend and fold back to produce an all-around better running tracker. 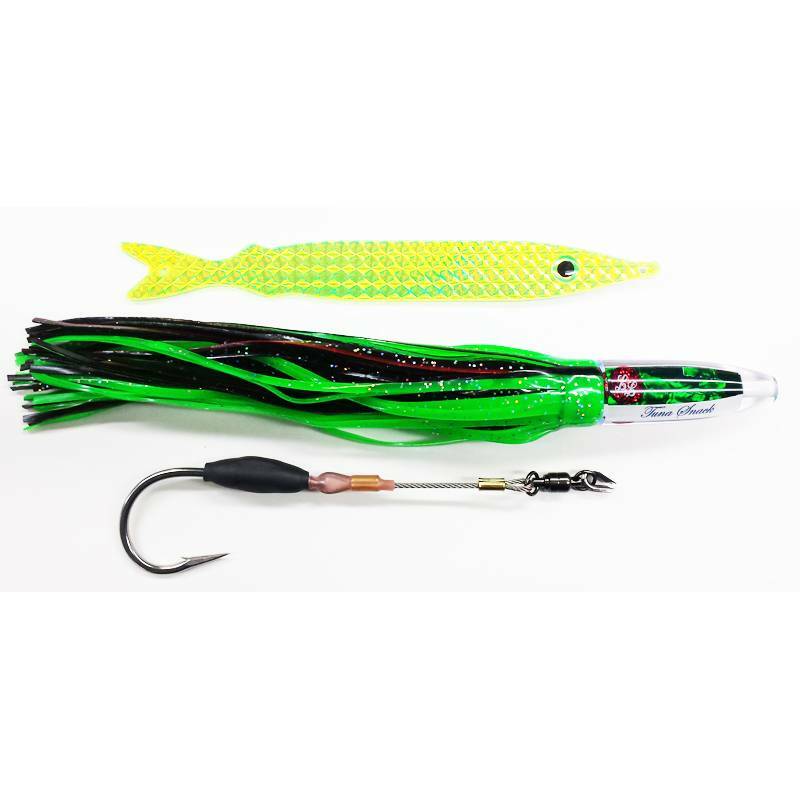 The center line is 250lb test Momoi, with a 250lb BB Snap Swivel for ease of changing stinger baits. 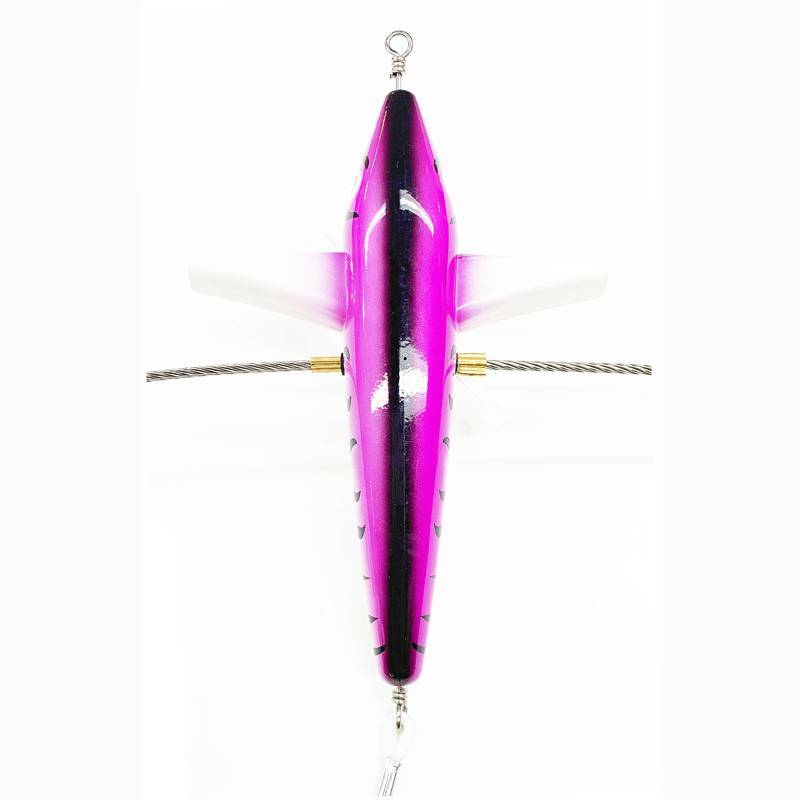 The Tuna Snack Stinger is rigged with a stainless Keel Weighted hook, 600lb Cable and a 350lb test BB Swivel. All finished with 30" 250lb Momoi leader. This premium stinger is heavier than others, which consequently helps the bar run better. 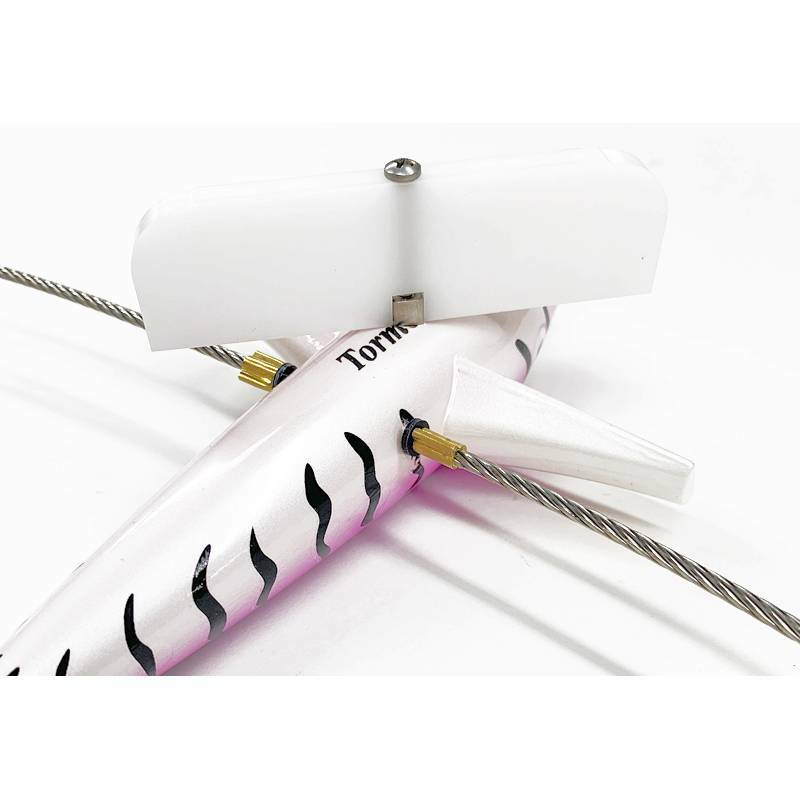 The cable in the stinger will aide in holding up against the toothy wahoo, as well as sharks.